At the beginning of last week, I received an email – from EduAnsa’s blog reader, asking me When is the best time to apply for student industrial training? It is becoming more and more common for students to hold on till the last-minute, before beginning their application. In one of my post, I mentioned that to be successful in landing your SIWES placement in Nigeria, you should start sending out your letters to different firms, well ahead of time say 4 – 6 months before your SIWES commencing date. It now depends on what type of internship you’re looking out to get. If you’re interested in a credit-bearing internship, you’ll need to check the application deadline of the organization. 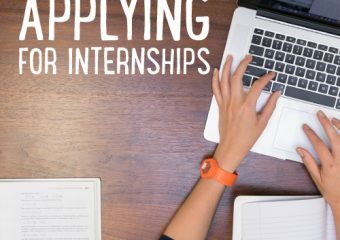 Competitive internships with a formal application process will have deadlines than an internship at a small organization or one you arrange yourself. For example, government organizations, engineering firms, financial institutions typically have some of the earliest deadlines. When Are You Due to go for Student Industrial Training? hmm… The simplest answer is, You should do industrial training on every holiday you get. You should use your holiday break for pursuing internship in your interested field. Get huge SIWES experience before going back to school. It will surprise you to know that, those interesting concepts of your field you learn during your industrial training will help you do well in your academic and enhance your profile. Most importantly, Your learning process matters a lot. So, enjoy the process of learning, applying, and doing internship. Still wondering when exactly to apply for internship? For credit-bearing, you should consider contacting employers or visit their website to find out what vacant position is available for IT students. November / December is a good time to start reaching out to employers for student industrial training if you hope to begin your internship around March / April. Visit our internship job page for lasted internship vacancies you can apply. If an employer indicates that they are not yet ready to consider applicants, then ask when would be the earliest date that you might be considered given your high level of interest in the opportunity. NOTE: Local slots for paid internships are often filled on a first-come, first-served basis, so more opportunities will be available if you apply early. When I was applying for my undergraduate IT placement (Total, April 2014), I actually made contact way back in November 2013, had the invitation for aptitude test process start rolling in February, and by March 2014 had an official offer in my hand. My SAIPEM internship recruiter first contacted me 6 months after I submitted my application, had 2 aptitude test written in a week, but didn’t received an offer after that. NLNG accepts application every last Friday of the month and employs I.T students base on need. Agip (NAOC) advertises their recruitment on notice board at their offices (Port Harcourt, Lagos and Abuja), but only for polytechnic students. Mobil receives SIWES application beginning from September every year. Every company’s process is different and changes from year to year. For example, Schlumberger (SLB) only visit schools of their interest to select students (who meet their criteria) for their industrial attachment. Can You Apply Late for Internship? Don’t worry if you are late in the process since many internships, especially unpaid ones, can be arranged as late as a month in advance of the semester you are targeting. Often, this will involve you reaching out to employers who may not have even posted an opportunity (since many of the advertised internships will be filled at this point) and convincing them that you would be worth engaging as an intern OR you can get one through connection. Show companies that you’re interested in them and find out what it’s like to interview with the company. Who knows – you might do better than you think! The “level” that you need to prepare for companies internship aptitude test is a WHOLE other question / post, but I feel like if you have a hand on companies past questions and answers and interview structure, you’ve set yourself apart from the crowd. If you’re extra nervous, contact us for study materials or tips. Finding the right internship for you can be challenging and exciting, but don’t let it consume all of your time. Spend time working on side projects that excite you and have fun while doing it. It is never too early. Start applying now. Even if you don’t get any good offers, you will learn about the application / interview process, trust me. So what are you waiting for? Go apply!